Qualcomm Technologies has demonstrated 5G NR mmWave prototype system based on the 5G New Radio (NR) Release-15 specifications being developed by 3GPP. The prototype system, which operates in millimeter wave (mmWave) spectrum bands above 24 GHz, demonstrates how advanced 5G NR mmWave technologies can be utilized to deliver robust mobile broadband communications at multi-gigabit-per-second data rates in real-world mobile environments. The prototype system also showcases the Company’s optimized mmWave RF Front-end design in a smartphone form-factor to test and trial real-world mmWave challenges, such as device and hand-blocking. The prototype system will employ Multiple-Input Multiple-Output (MIMO) antenna technology with adaptive analog beamforming and beam tracking/steering techniques, which is required for robust and sustained mobile broadband communications in non-line-of-sight (NLOS) environments and device mobility. With support for 800 MHz bandwidth and advanced 5G NR technologies including LDPC channel coding for data channels, the prototype system is designed to support peak download speeds of up to 5 gigabits per second. There is clear and growing global industry interest for deploying advanced 5G NR technologies already in 2019, including mmWave, in mobility applications to meet increasing mobile broadband needs and emerging use cases. For consumers, enhanced mobile broadband supported by 5G NR will bring unprecedented immediacy, enhancing media consumption, improving media generation, enabling immersive virtual/augmented reality, and offering even faster access to rich information. The Qualcomm Technologies’ 5G NR mmWave prototype system will be utilized in upcoming 3GPP-based 5G NR interoperability testing and over-the-air trials with infrastructure vendors and network operators starting in the second half of 2017. Additionally, mobile device OEMs will have an opportunity to gain an early start in optimizing their devices for the unique challenges associated with integrating 5G NR mmWave technologies in form-factor accurate devices. The testing and trials intend to drive the mobile ecosystem toward rapid validation and commercialization of 5G NR mmWave technologies at scale. Qualcomm Technologies will utilize learning from this testing and trials to help drive the ongoing development of the Qualcomm Snapdragon X50 5G multimode modem family to help support timely commercial mobile network launches anticipated in 2019 based on the global 3GPP 5G NR standard. 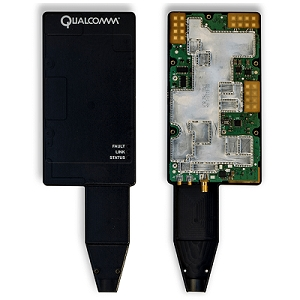 The prototype system incorporates insights gained through extensive over-the-air testing completed over the last eighteen months utilizing the existing Qualcomm Technologies’ 5G mmWave prototype system based on the Company’s proprietary design. 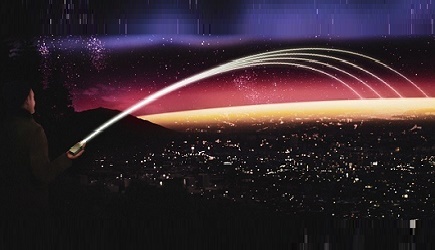 It adds to their existing 5G NR sub-6 GHz prototype system, operating at mid-band spectrum from 3.3 GHz to 5.0 GHz, which was utilized to demonstrate the Company’s first 5G NR connection in February of this year. Mobile World Congress Americas attendees can view demonstrations of Qualcomm Technologies’ mmWave and sub-6 GHz prototype systems in the Qualcomm booth in South Hall, booth S.216.